The main tip of the sheepshead fishing tips is understanding their movements for successful fishing. Sheephead, sheepshead, bait stealers, convicts, goats, sheep- whatever you call them, the late winter and spring can be a great time to target these hard fighting striped fish. This is when we call it goat herding. The herding begins in Autumn and culminates in the Spring. With each passing cold front, the flock begins to follow the leader toward the offshore waters in the Gulf where they will have a massive party. 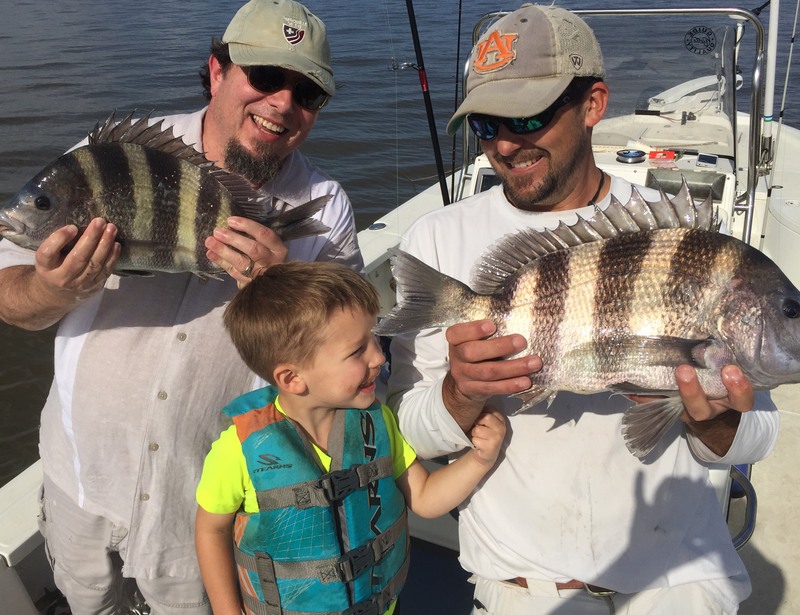 Check out these sheepshead fishing tips to make your next goat hearding trip a success. The sheepshead herd will move from inshore to offshore and will be stopping at large structured areas for a break and for a meal. This part of the migration will begin in early December and will usually peak in late January. Since these fish are not staying at the inshore structures to spawn they may only hang around for a day or two before moving on again. Think about this migration as if you were driving from the Atlantic coast to the Pacific coast. You only stop when you need to refuel or rest and then back on your way. The goat herd is the same, they have the end goal in mind and the inshore stops are like the hotel and restaurant stops. The herd must make it in time for the party, so they will not be eating large meals at these inshore stops. These small meals will be simple and provide as much energy as possible. Catching these fish can be challenging and frustrating. Using small single bite size baits like seed shrimp, fiddler crabs, small pieces of fresh dead and fresh or brined oysters can help you trick a few sheep into biting. Keep your tackle as light as possible so you can feel the very subtle bites. Light to medium tackle 6 lb.-15 lb. line class with #8-#4 size hooks with little to no weight will provide some action. Use the lightest amount of weight that you need to get the bait down to where the fish are located. Fluorocarbon leaders will help to increase the number of bites. If using fluorocarbon, then use 12 lb. – 20 lb. Keep your bait small and very fresh if not alive. Photo by Capt. Patrick Garmeson. The first part of the sheepshead herd will typically arrive in February and they will begin to make themselves at home. Think about this phase of the herding like a party. The first guests who show up usually bring some appetizers and like to socialize in small settings, have a few drinks and want to have their own seat at the table. Our first sheepshead to the offshore spawning grounds is just like that. They will be light eaters, cruising around looking for the best seating closest to the appetizers. Trying to get these fish off the best seats in the house can be very challenging because they haven’t had enough drinks. This sheepshead party will last from February until May, so the early arriving fish are not usually up for dancing. This is because they like the best seat closest to the food and drinks. In other words, these early arriving fish will stick close to the structure snacking on easy meals like algae covered barnacles, small crabs, and other bite-size invertebrates. 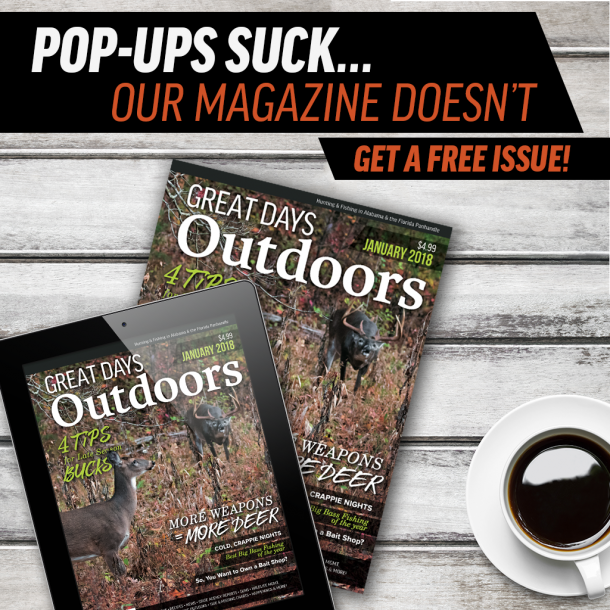 The best advice for catching these fish is to use as light of tackle as you can with bite-size meals very similar tactics as the inshore fishing. The bulk of the herd is arriving in mid to late March and they are showing up for a party. This will be the beginning of the full-blown party. All the appetizers are on the table, everyone has a drink in his or her hand and the music is turning up. It’s starting to look and feel like a party. People are up mingling around, and seating is not as important as it was early in the event. This is how the herd will be acting. They will be cruising around the structure looking for a good conversation or the right group to hang with. This will be when most everyone at the party is beginning to loosen up and pay less attention to where the best seat is located. Sheepshead will be in the party mode. Less attention will be paid to where they are in relation to the structure and less attention to details in general. This will be when the whole herd is becoming most vulnerable to fishermen. You can use larger tackle, larger line, bigger baits, and most importantly catching more fish. You’ll want to use medium to medium-heavy tackle, 12 lb. – 20 lb. class line (fluorocarbon is still recommended) with #6-#4 hooks and a light to moderate amount of weight. Keep in mind that the less tackle and less weight you use then the easier you will feel the bite. Another reason for this is to have less tackle to replace when your line breaks. Use Fiddler crabs, live shrimp, fresh dead shrimp, and hermit crabs during this time of the year. Fiddler crabs can be the most effective at catching only sheepshead and the occasional redfish with little to no other by-catch to worry about. Live and dead shrimp will catch almost anything that swims and hermit crabs attract lots of small fish like pinfish, grunts, and small snapper. From April until early May the party is in full swing. This is the moment at the party when the music is the loudest, the most people are dancing, and the relationships are being made. Guys that showed up solo are now dancing with girls they just met, and inhibitions are at the lowest. Most people at the party feel accepted and are less worried about what each other think. Sheepshead are now in full-blown party mode. They are ready to eat almost anything they see as somewhat appealing and show little care to line or tackle. The entire herd has arrived, the competition is at its highest and food could become scarce. The herd is thinking only about two things during this phase of the party. One is food and the other is procreating. You will see followers this time of year. One fish is hooked, and several others will follow it up to the top. During full blown party mode keep your tackle simple and strong because you will encounter some of the largest sheepshead this time of year. Medium to Heavy action rods with 12# to 50# test will be sufficient. Keep in mind that you will be targeting most of these fish in and around very large structure which will be covered in sharp crustaceans. Use stout J hooks that are in the #6-#2 size range. You can also use a Kahle or a circle hook, but I find the J-hooks to be the most effective. An effective way to keep your tackle simple is to use a free line method and add a split shot or twist on weight that will be just enough weight to help drop your bait into the water column. If you break your line, then all you need to do is tie on another hook and add another weight and your back in the game. Keep in mind this is the peak of the party, so you want to make every second count. As the party winds down, the herd is no longer a herd. Sheepshead begin to leave the party one at a time like a walk of shame that sends them back to where they came from. They will reminisce about the fun they had and the friends they made. They will zig and zag through the inshore waters in search of a meal here and there, just passing the time till Autumn returns. Patrick Garmeson guides full time for Ugly Fishing, LLC targeting inshore and nearshore species in the fertile Gulf Of Mexico. He also co-hosts the Alabama Saltwater Fishing Report Podcast. We'll let you decide where he got his business' name from.